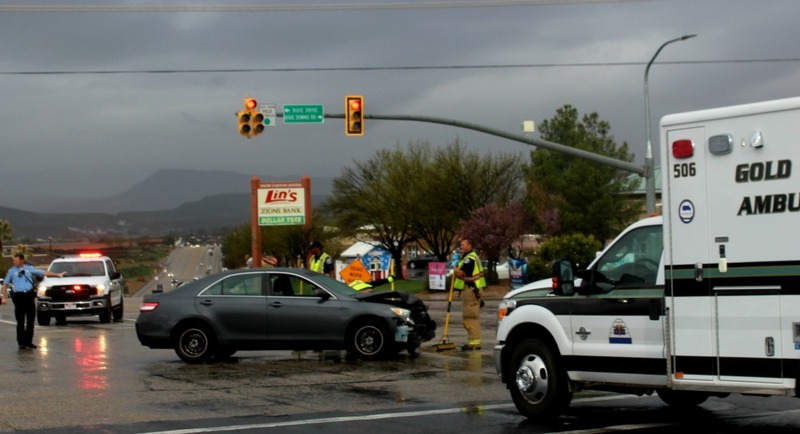 ST. GEORGE — The intersection of West Sunset Boulevard and North Dixie Drive was the scene of a two-vehicle crash Thursday that ended with minor injuries, traffic delays and extensively damaged vehicles after one driver failed to yield on a left turn. 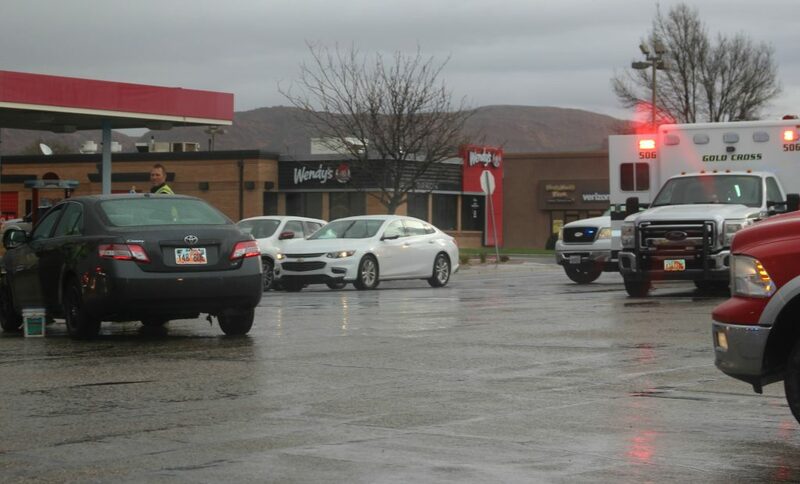 Shortly before 9 a.m. responders were dispatched to the two-vehicle crash involving a gray Toyota Camry and a silver Nissan Sentra, St. George Police officer Dave McDaniel said. Officers arrived to find both vehicles heavily damaged and partially blocking the intersection. 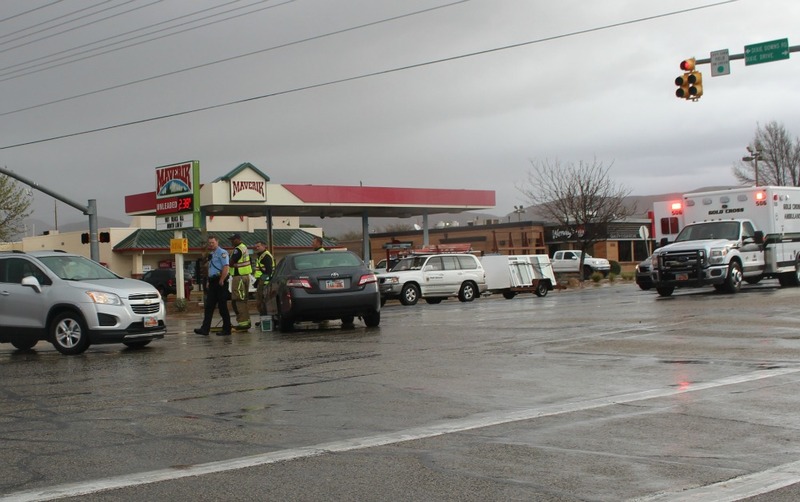 A passenger in the Toyota sustained minor injuries and was treated at the scene by paramedics. 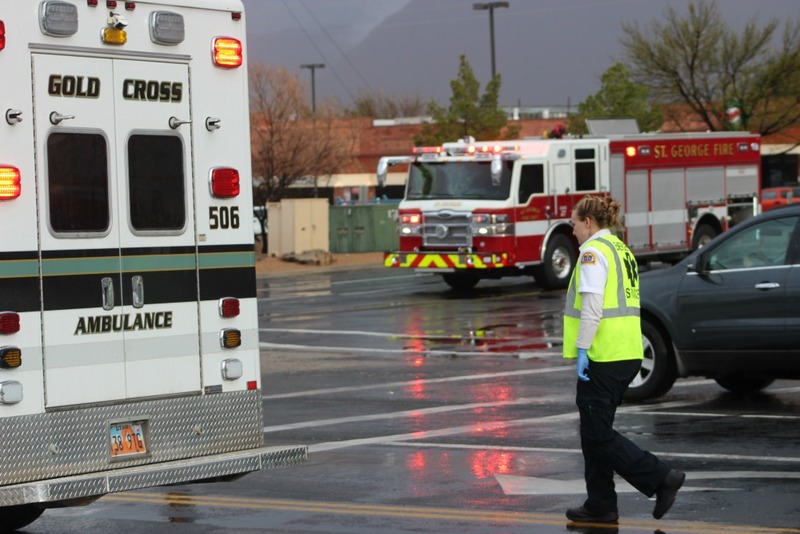 Additional officers were called in to divert traffic away from the crash. The Nissan was heading south on North Dixie Drive and entered the turn lane to make a left onto Sunset Boulevard heading east. 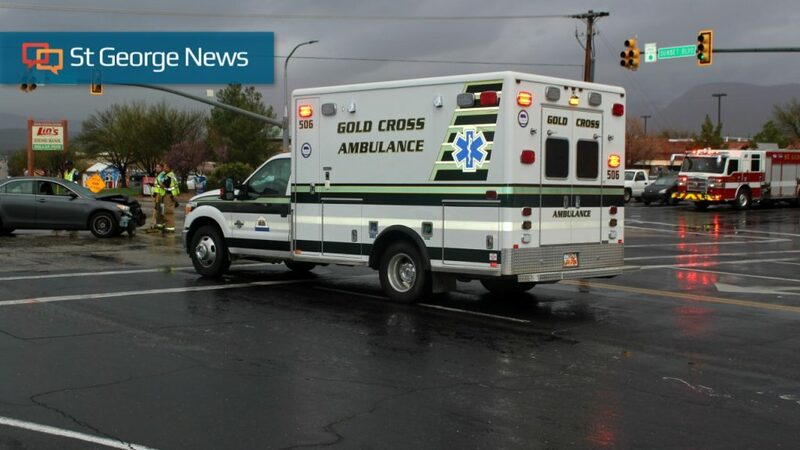 Meanwhile, the Toyota was heading north in the inside lane on the same street and struck the Nissan as it crossed over into the driver’s path during the turn, an impact that spun both vehicles in the intersection. “The Nissan driver said he saw either a red or flashing yellow arrow but a green light for straight through traffic and got the lights mixed up and made the left turn right in front of Toyota,” McDaniel said, as he explained in the video shown at the top of this report. 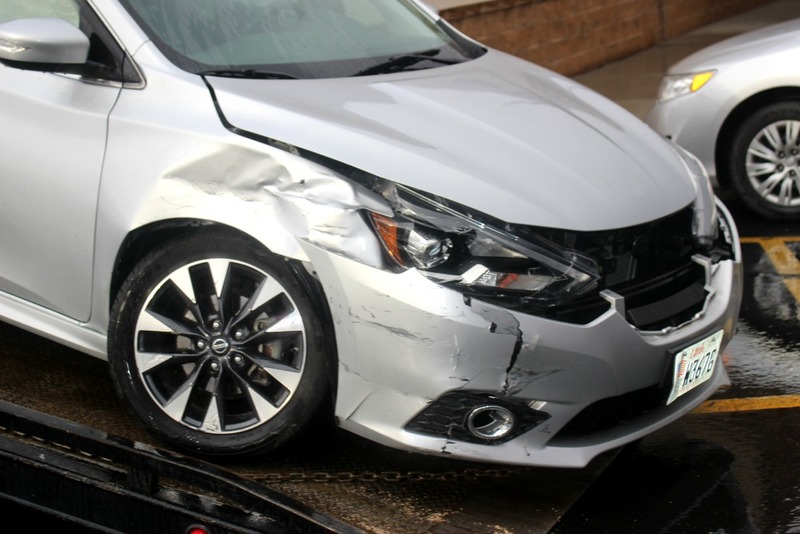 The vehicles sustained extensive damage and were towed from the roadway. McDaniel said the Nissan driver was cited for failure to yield on a left turn.